For years, South Korea has had one of the highest suicide rates in the world, with more than 40 deaths being recorded each day. This has resulted in many public programs being put forward in an attempt to defuse stress and depression. One of the more popular programs is called ‘Happy Dying’ – a fake funeral to make you appreciate life. Knappily looks at this spooky yet effective practice. Happy Dying is a program to make stressed people realise the harsh realities of death. The depressed are made to confront death through this fake funeral. The aim is to achieve a highly emotional release. They ‘die’ so that they can appreciate the beautiful life they have now. 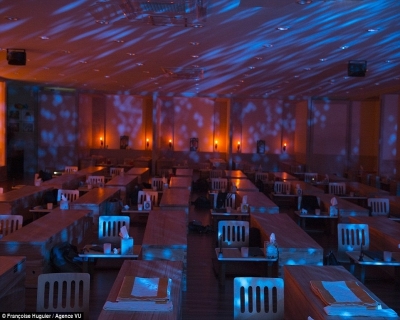 After an instructional lecture and video, participants are led into a dimly lit hall decorated with chrysanthemums, where they sit, often tearfully, beside caskets and write their suicide notes. They collect their funeral portraits, which look creepily formal and will be placed next to their 'resting place'. Next, they must write their mock tributes, wills and words that would go on their tombstone. Then they put on burial shrouds and lie down in the coffins. A grim-looking man dressed in a black robe, the Angel of Death, a figure from Korean mythology, hammers the lids closed. The participants are left encased in utter darkness for 10 minutes — which can feel like forever. One such company which manages this experience said 15,000 people had gone through mock funerals at the centre since 2012. The program is free. There is no charge for dying before they actually die. South Korea has the second highest suicide rate in the world, and citizens often report feeling stressed. This is seen as a way to counter that negative thought process and initiate an appreciation for life around them. Some participants sadly have terminal illnesses and want help preparing for the end; others have suicidal impulses that they want to dispel. Businesses send employees as part of a motivational program. Most participants say they feel strangely refreshed afterward, gaining a new perspective on the things that are always around them yet they rarely appreciate, like family. Those who attend the session include employees who work in high-pressured jobs. Such employees rarely respond to the usual motivational programs. So that they wake up to the beauty that is life, they must be ‘killed’ once. Happy Dying also sees a large number of students attending, who are struggling to cope with the pressure of exams. Government data shows that elderly citizens in South Korea were at the highest risk of taking their own lives, due to not wanting to be a financial burden on their families. Seoul citizens aged 60 or over were recorded as being the age group with the highest suicide rates, with 50 people taking their own lives in 2014 alone. When have employers realised its value? 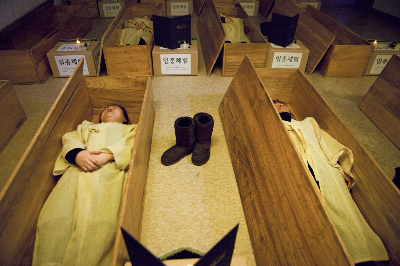 In Korea, no one really talks about death. Death is hidden away and avoided till it is faced; it is a taboo subject. However, in order to make people appreciate life (and work), some companies are making employees take part in their own pretend funerals. The President of one such company says, "Our company has always encouraged employees to change their old ways of thinking, but it was hard to bring about any real difference (till Happy Dying happened)". 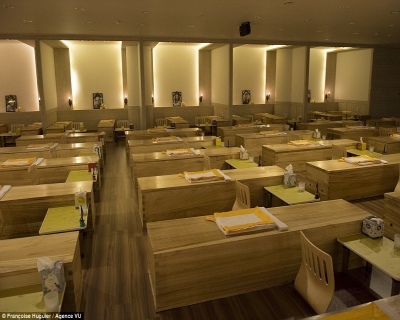 It is hard to know what the employees make of it - South Korea is a very paternalistic society and they are unlikely to criticise company policy but it seems to have an impact. The Korean Neuropsychiatric Association found that a quarter of those it questioned suffered from high stress levels, with problems at work cited as a prime cause. It is difficult to believe that the experience may not traumatize certain people. However, most participants feel an emotional release; they realize that they must make the best use of the time they have left on earth. For most of them, that best use seems to be to spend more time with their family, who is going to miss them when they are gone (and vice-versa, if there is after-life). Where is the problem in South Korea? The programs began as a way to address, and possibly combat, the nation’s high suicide rates. Korea’s suicide rate, which is the highest in the developed world, has been linked to the competitive, high-pressure nature of school and work culture in the country. Despite its booming economy, the people of South Korea have never been more unhappy. With an average of 43 suicides per day, it has the highest suicide rate among the OECD nations and Asia's unhappiest nation. 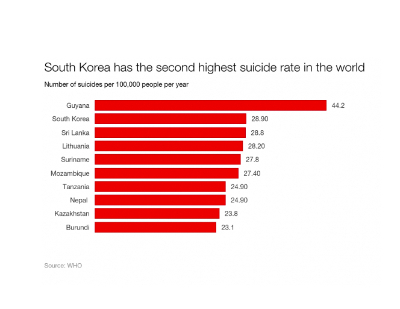 As per the World Health Organization (WHO), South Korea has the second highest suicide rate in the whole world behind Guyana, and suicide is now, astonishingly the number one cause of death for its citizens between the ages of 10 and 30. Children and young adults cite the stress of living in a hyper-competitive society or pressure over exam results and college entrance as the main reason for contemplating suicide; middle-aged South Koreans most often turn to it through concern over personal economic problems; and the elderly kill themselves (or consider doing so) because of isolation as a result of the breakdown of the traditional family unit. Note: The Organisation for Economic Co-operation and Development (OECD) is an intergovernmental economic organisation with 35 member countries, founded in 1961 to stimulate economic progress and world trade. These are all developed countries with commitment to democracy and market economy. Who is suffering the most in Korea? 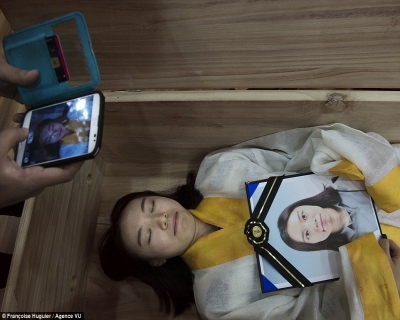 Suicide is the fourth-most-common cause of death among South Koreans, and the numbers are especially high among young people. South Korean students report high levels of depression, stress anxiety, much of it caused by the demands of the country’s hypercompetitive education system. Student suicides tend to increase around November, when high school students take college entrance exams. Students often study intensely for years to prepare for the College Scholastic Ability Test, which can determine their career trajectory and even affect future prospects for marriage. In addition to attending school full time, many students spend several hours every day preparing for the exam, often seeking extra help from so-called cram schools. In response to the public health crisis, in 2015, South Korea’s education ministry announced plans for a smartphone app designed to screen students’ social media posts, messages and web searches for words related to suicide. The app would send an alert to the parents of students are determined to be at risk. Though the idea is innovative, it is unclear as to the whether the app has had some real world success. How can near-death experiences dramatically alter perception of life? No matter what the nature of the experience, it alters some lives. Alcoholics find themselves unable to drink more. Hardened criminals opt for a life of helping others. Atheists embrace the existence of a deity, while dogmatic members of a particular religion report "feeling welcome in any church or temple or mosque." In 1975, when Raymond Moody published Life after Life, the book that coined the term "near-death experience" (NDE) to describe this hard-to-define phenomenon. Moody interviewed 150 near-death patients who reported vivid experiences (flashing back to childhood, coming face to face with ‘God’). He found that those who had undergone NDEs became more altruistic, less materialistic, and more loving. The theory on NDE has been controversial. The psychologists refuse to believe that there is anything supernatural in such experiences, attributing the peace and love that near-death people feel to the brains’ defence mechanism (last ditch effort to prevent death). The truth is - we cannot know what death is really like, until we die. However, we should not wait till we are close to death to realize what a good life we had been living. This is perhaps precisely the philosophy behind these fake funerals. Simulating the experience can alter understanding of priorities. What seemed impossible earlier could seem like a small obstacle in the larger course of life. What seemed urgent may seem like the last priority. 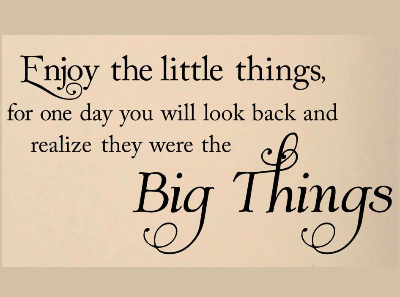 What seemed a tough, unfair life may feel like a beautiful blessing.